The Martian, the upcoming Matt Damon vehicle based on the 2011 Andy Weir novel, is about an astronaut stranded on Mars attempting to survive on a lifeless, unforgiving planet. The film, directed by Ridley Scott, isn’t opening in the U.S. until October 2, but that hasn’t stopped Tony Dolezal from mashing up its trailer with an earlier film about a robot on a (mostly) lifeless, unforgiving planet: WALL-E.
Dolezal uses the early portions of WALL-E, where the robot putters around an abandoned Earth in an attempt to clean up what humanity has destroyed, and pairs that with the Damon voice-over used in the Martian trailer. 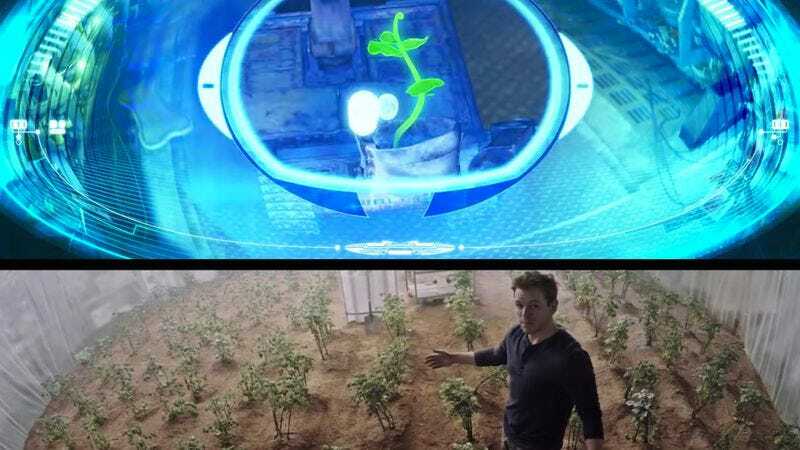 But even beyond that, much of the mashup is a shot-for-shot replica of what is seen in the Martian preview, which can be viewed in a split-screen demonstration of the two versions. The lasting effect? Further proof we’d rather see another movie starring an adorable little robot than one starring Matt Damon any day of the week.